Native of Afghanistan, Matin was first introduced to the artistry of makeup by a college roommate. Realizing he had a natural proclivity, Matin began working part time as a makeup artist to help Subsidize his master’s in molecular biology. After a brief time working as a research scientist, Matin began to miss the creative and collaborative process that the beauty industry provides and ultimately changed careers. Matin has worked with Entertainments must sought after clientele such as Claire Danes, Lupita Nyong’o, Angelina Jolie, Cynthia Nixon, Awkwafina, Mandy Moore, and Rachel Weisz to name a few. Matin’s work has graced the covers of leading fashion publications such as Elle, Marie Claire and Glamour, while his fashion spreads can be seen in such magazines as Harper's Bazaar and Allure. 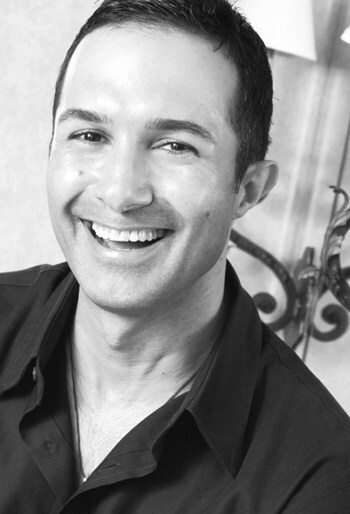 Over the course of Matin’s illustrious career, he has collaborated with top beauty brands such as Laura Mercier, Neutrogena, and Clinique, as well as his current role as brand ambassador for Chapstick. Matin continues to be an ardent believer in clean beauty. This passion led to his participation on the Credo panel to discuss the benefits of clean beauty products on the skin. In addition to Matin’s fight for Clean beauty, He is determined to give back to his native Afghanistan. Alongside Mikhail Serdiouk, Matin founded the Afghan Hands foundation. This non-profit organization teaches widows and disenfranchised women vital skills in the fight to gain independence, literacy, and livable wages. At their centers in and around Kabul, women learn to create intricate embroidered shawls and scarves. Their exquisite work connects them to a wider world and helps pave the way to social change in Afghanistan. Matin’s tireless efforts led to his recognition by Anderson Cooper 360, Oprah, Katie Couric, People, and countless other press outlets. As one of 7 siblings, it was only natural that Matin felt at home in the hustle and bustle of New York City. The cities diverse culmination of cultures provides a constant source of inspiration in his work. When Matin is not creating iconic looks he enjoys practicing calligraphy, studying Islamic and Gothic Architecture, and searching for exotic ethnic textiles. With a career that spans two decades Matin continues to reinvent the meaning of beauty and showcase the power of makeup.